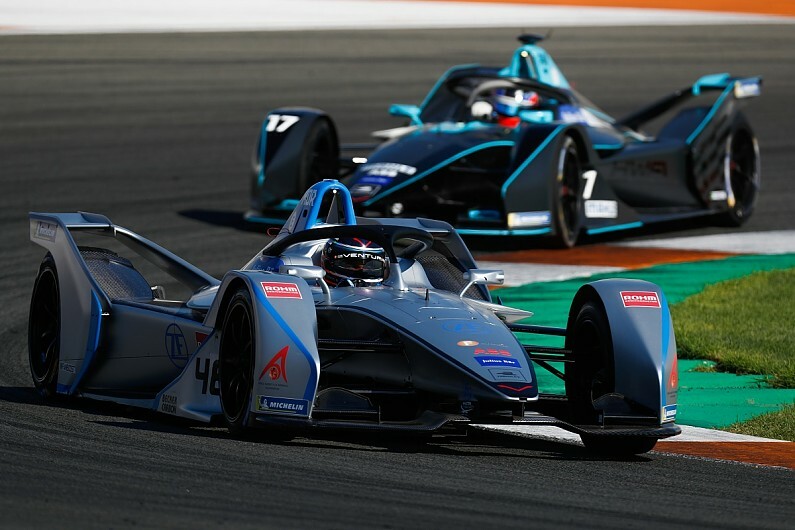 The ABB FIA Formula E championship will extend the lifespan of its Gen2 cars to four seasons, Autosport has learned. FE has introduced the dramatically-styled Gen2 car for the start of its 2018/19 season, and intended to use the chassis for three seasons. FE CEO Alejandro Agag explained that while the development is yet to be officially confirmed, it had been agreed in principal after "a request from the manufacturers". "We don't really care, but it's for them to advertise their hard work over a longer period," Agag told Autosport. "So we will do something similar to what we have done with this generation - have a new aero package probably on [the cars] from season six to season seven [from 2020/21 to 2021-22]. "So, in season seven you will see a new look of the car, but it will still be the same cars and have two more years and then change to Generation3." Teams will be able to develop new powertrain technology throughout the extended Gen2 era, with only the battery and base chassis staying the same from the start of the upcoming championship. The FIA did not respond to a request for comment regarding the expected extension of the Gen2 era before the time of publication. When asked about what stage discussions regarding the Gen3 car had reached, Agag replied: "There have been some talks, but really general. "I have my own view on Gen3, which is I'd like cars with lighter batteries, ultra-fast charging and two pitstops. "You get more power, or even the same power with 100kg less battery, maybe. "So performance goes up and you showcase ultra-fast charging technology and have pitstops. "[For pitstops you would] have maybe 60 seconds, and as much juice as they can charge in those 60 seconds, that will be their advantage. "I don't know if it will [end up] like that. "We decide on commercial matters, the FIA decides on technical and sporting matters. So, they have the last word. "But we co-operate a lot and we would like to go in that direction." Autosport understands that as the teams were not unanimous in agreement on banning the practice for season five it will remain legal for the forthcoming season. The FIA is expected to confirmed that the practice will be outlawed for season six at the final World Motorsport Council meeting of 2018, which takes place on Wednesday.